About - Discover the world through fascinating stories. 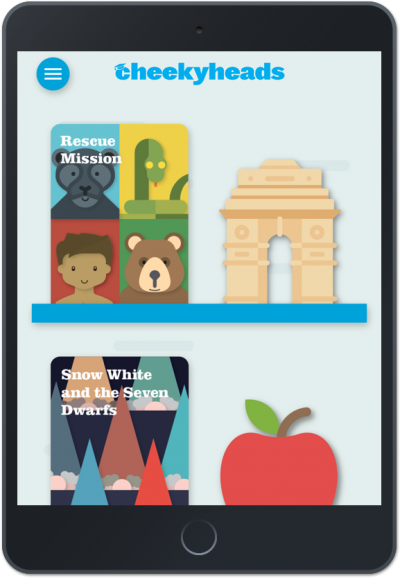 Cheekyheads is more than your average child’s e-library. With our growing library of simple engaging children stories, a funky visual child’s encyclopaedia called the ‘Kidopedia’ AND fantastic rewards to be unlocked, Cheekyheads is a fun and educational e-platform that boosts your child’s learning EVERY TIME. It opens up your child’s mind to new simple interesting facts and words to introduce them to the big wider world! Cheekyheads is the perfect learning compliment to your child’s homework time, bedtime reading or even to spend quality time with your children. Cheekyheads: More than just a child’s e-library.